First Line: The old man looks up, and for a moment it feels as though he is staring through the wrong end of a telescope. A young girl adopted from Sierra Leone is hacked to death in full view of the congregation at Holy Trinity Church in the center of Hull. Detective Sergeant Aector McAvoy is assigned to the task force looking for the killer and fully expects to spend his time manning the phones and making sure everyone enters all their information in the database. Before he gets fully settled in, the Assistant Chief Commissioner asks him to take care of a death notification. Although it puts him in hot water with his superior, McAvoy does so and learns about an old man who, forty years earlier, had been the sole survivor of a ship wreck. The old man had agreed to be interviewed for a documentary and was with the film crew aboard an Icelandic container ship when he cut filming short and went outside for some air. A few days later, his body was found floating in a life raft. The more McAvoy learns about both deaths, the more convinced he is that the two are related... and then a third death occurs, and the race is on to catch a killer who has a very singular objective. Well, at least the race is on with Aector. Some of his fellow officers seem more interested in a quick arrest than in finding the real killer. I slid into this story effortlessly. Aector isn't your normal police officer. He doesn't smoke. He seldom drinks. He loves his pregnant wife and young son to distraction, and they love him every bit as much. He's what his boss DCI Patricia Pharaoh calls "a natural policeman"-- somehow it's in McAvoy's blood to feel the links between disparate facts, to insist upon seeing the right person in prison for committing a crime-- but he's a bit of a mystery and a joke amongst his co-workers. There are whispers and rumors galore throughout the police station about McAvoy: that he turned in one of their own, that he's not to be trusted, that the only thing he's good for is answering phones and sitting at a computer. Then there's the matter of his size. He's a red-headed 6 foot five inch bear of a man who avoids using any semblance of force. There wouldn't be so many questions and rumors about McAvoy if the people he worked with knew more about the man, but they don't, so suspicion persists. Above the characters and the killings, the atmosphere of Hull lies over everything like a grimy blanket of snow. Hull, a once thriving city until the fishing industry collapsed and sounded a death knell. Hull, full of history, full of hope-- and hopefully full of many future cases for DS Aector McAvoy to investigate. 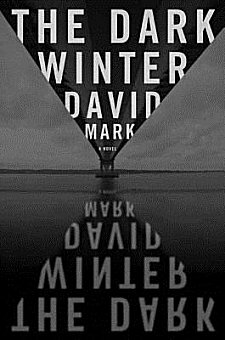 David Mark's debut novel has me hooked, and I want more! I really enjoyed it, Kathy. That really does sound like my sort of thing. If this story had you gasping, I know it's a winner. My poor list. Cathy - Oh, how refreshing to meet a cop who has a solid and happy home life! And the atmosphere in this one really does seem to draw the reader in. OK, this one really got my attention!